Have you ever thrown a party and wanted to try something different in the taste department? Not having the same ole same ole cheese dip and chips, veggie plates, ect. 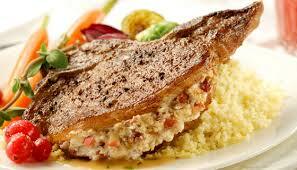 Or even spice up dinner a bit so your not serving the same thing over and over again? Boursin Cheese is the answer! I received a free sample of this great tasting cheese for my review and I have to say it is the best I have tasted in a long time! It wasn't so overpowering that I couldn't eat it and had just the right blend of seasonings that made it perfect! I tried it first with Ritz crackers and fell in love! I had to go get some more to try on different things! I have to say that the Garlic and Herb was my favorite! 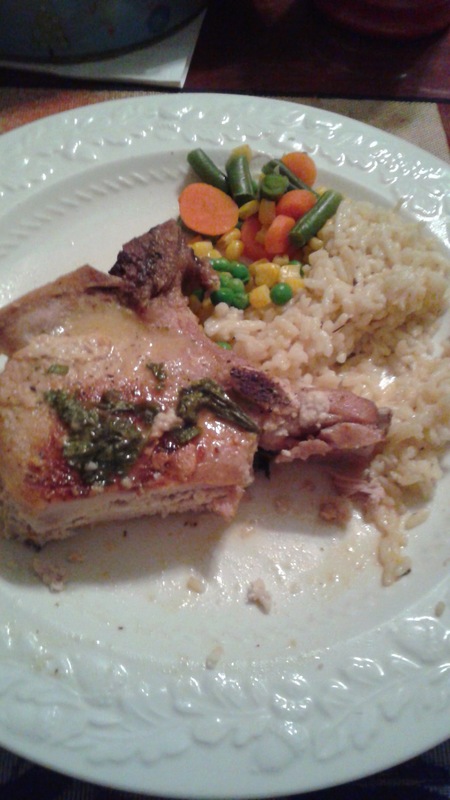 We personally made the Stuffed pork chops and they were delish! Of course my picture wasn't as pretty as the one below lol But they turned out to taste amazing! Who knew you could do so much with a spreadable cheese! 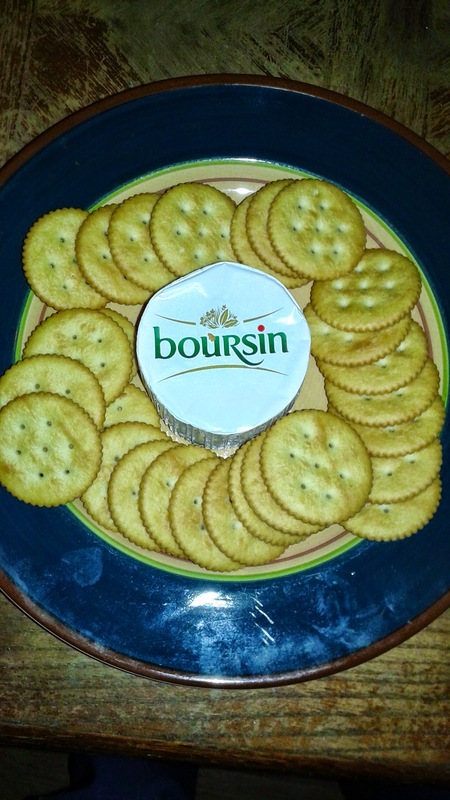 I would urge you to go out and try some of the Boursin cheese! Since I have tried it, I haven't let my fridge go without it! The spreadable cheese is creamy and the blend of taste is perfect and amazing. 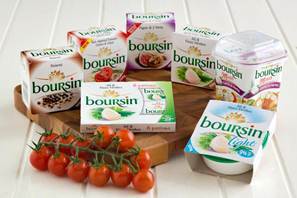 I will continue to purchase the Boursin cheese and completely recommend others try it as well! I received this product free through Smiley360 in return for my honest and unbiased opinion. 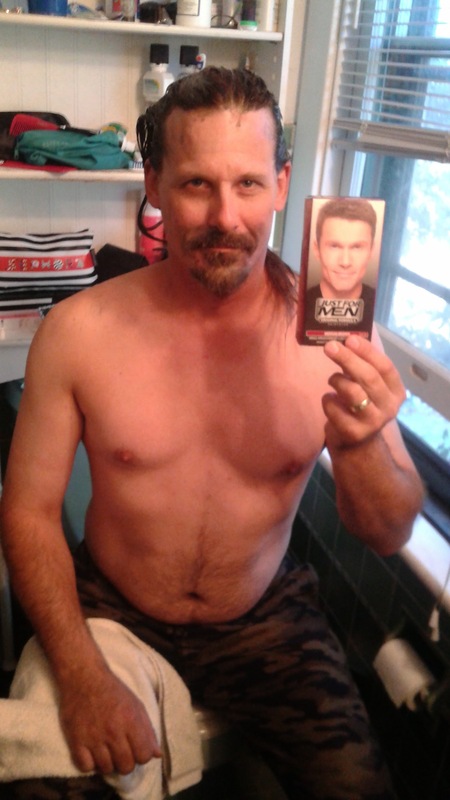 So when I got the chance to try the Just For Men free, I took advantage of the opportunity! 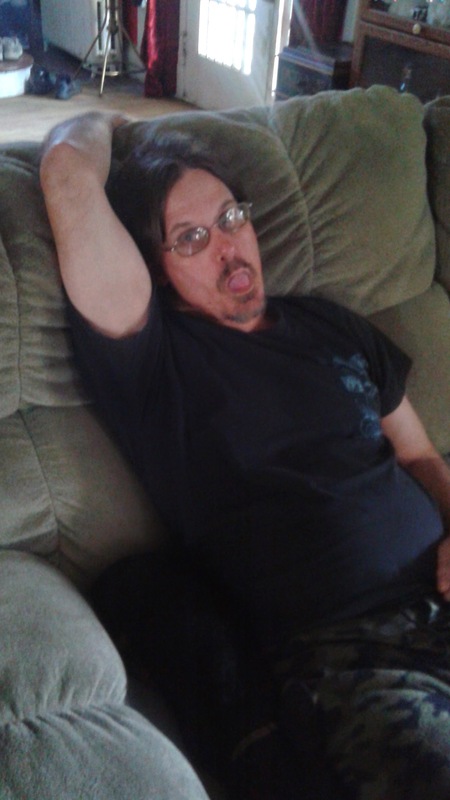 My husband on the other hand wasn't all that thrilled. 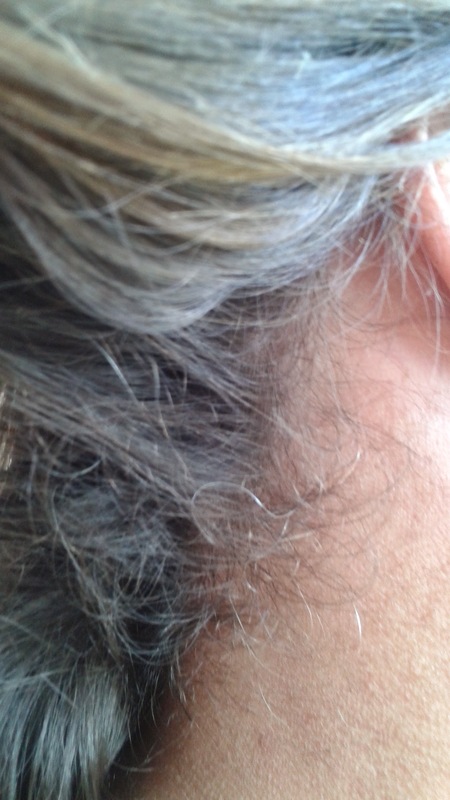 He has never used any hair color on his hair before. 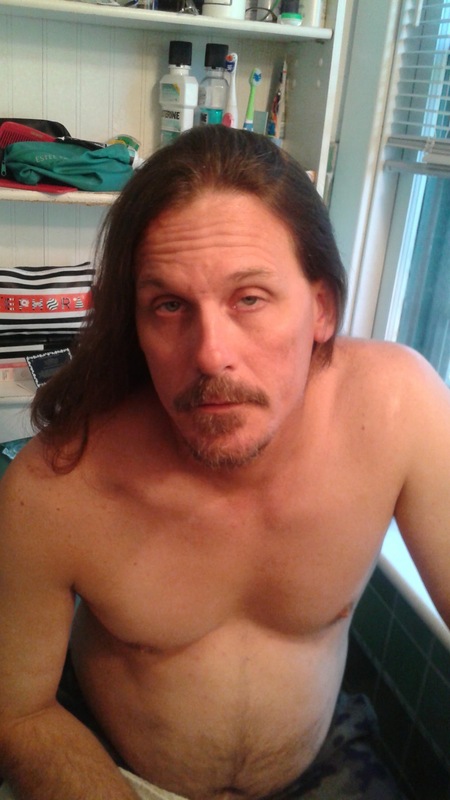 Here is what his hair and face looked like before we used the Just For Men product. 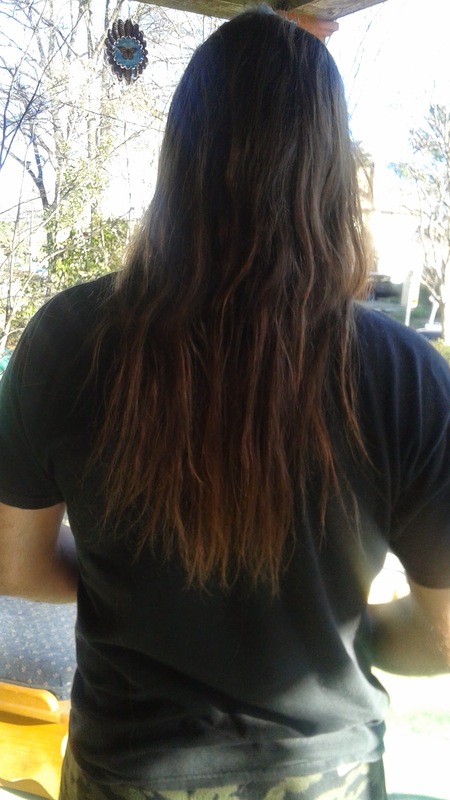 The bottle was small and with his long hair it needed at least two bottles. I tried just doing the roots and not the entire mass of hair he has. One bottle is all we had. The Just For Men is targeted mainly for men with short hair, which is the norm. 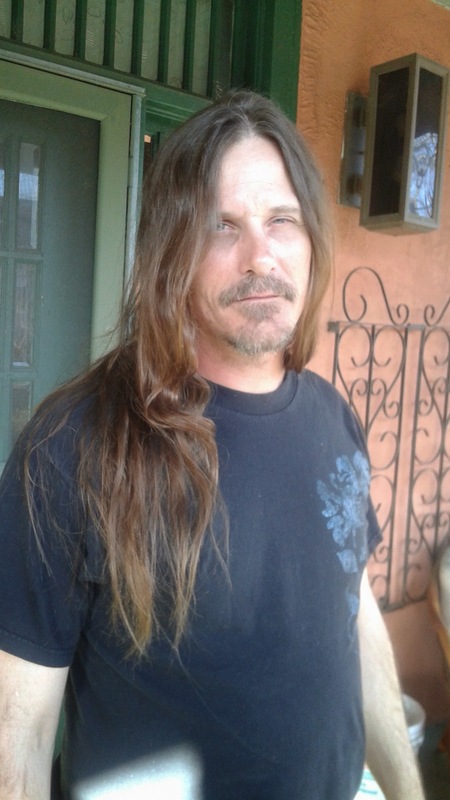 You don't see men with long hair very often so I can't complain to much about the size of the bottle. For a "normal" man the bottle size is perfect! 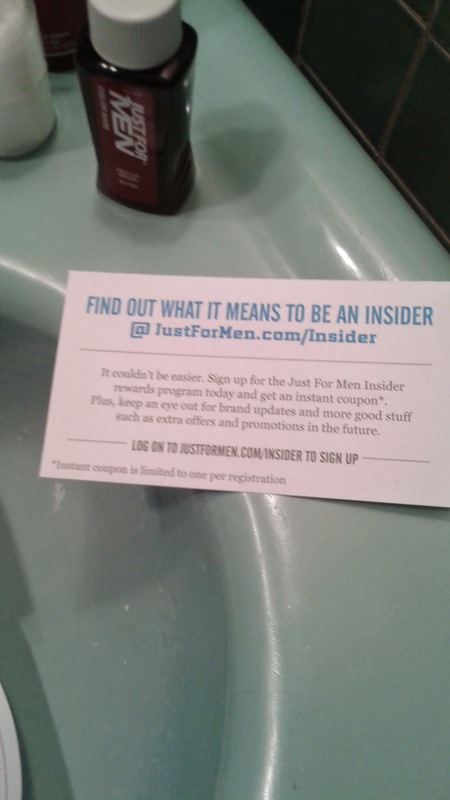 I really liked the fact that the Just For Men offers an insider points program to earn coupons, ect. You get more then just the product! These kinds of rewards programs are great for those who dye their hair often and can save you a lot of money! The product states that it only takes about five minutes to work. With as long as my husbands hair is we waited a few extra minutes. 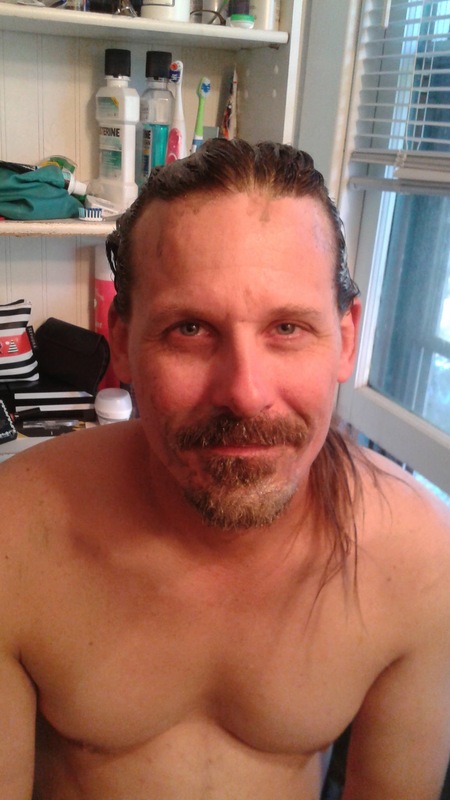 The hair on his face was a bit thicker so seemed to take even longer to work. 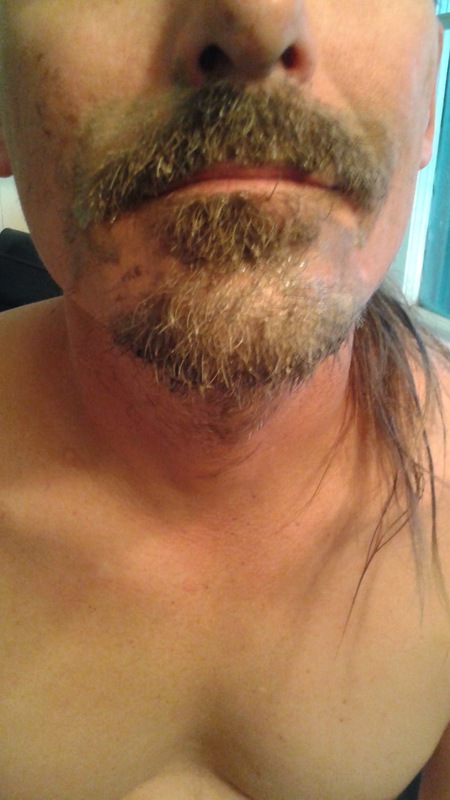 Here are the after pictures of how well the Just for men worked! 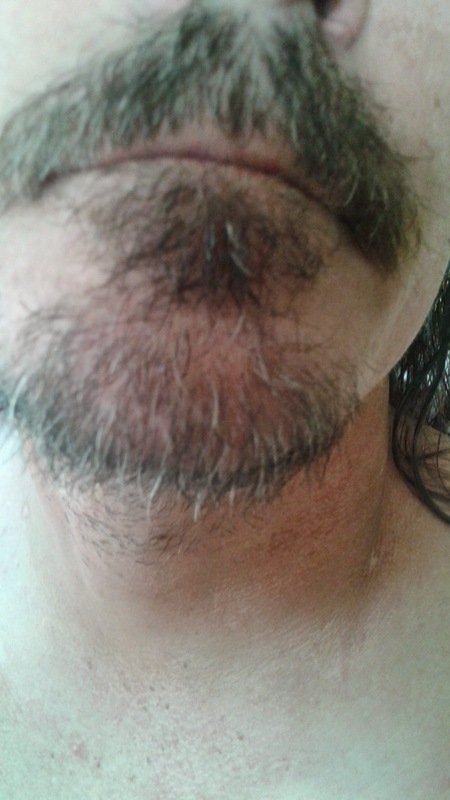 Although it did not get all the grey from his facial hair, it did an outstanding job! The color matched pretty well, little darker then his normal color, and made him even more handsome then he already was....yes i'm a little biased in that aspect! So my review! 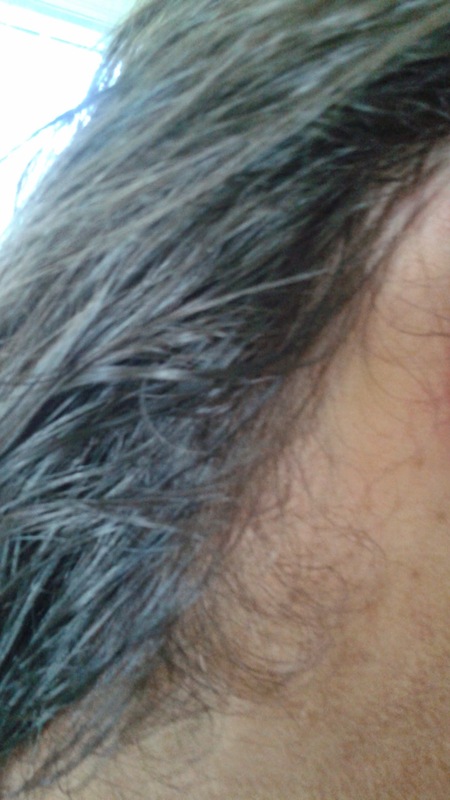 When mixing the color ingredients, it didn't have an overpowering smell you normally get with hair dyes. So that was a plus. 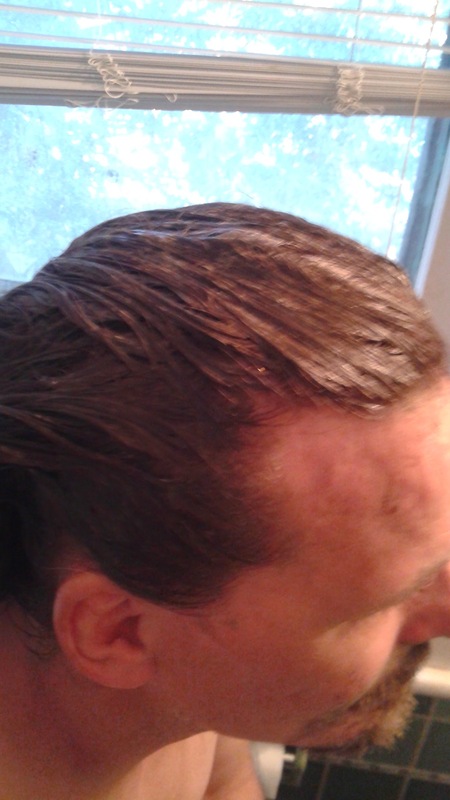 The color matched very well but if purchasing I would suggest going a step lighter then your normal hair color, as the color match for my husband made his darker. 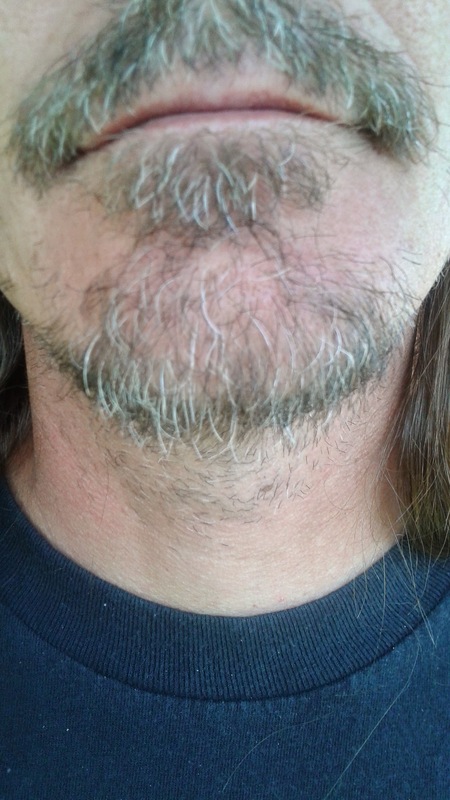 Although it did not get all the grey from his facial hair, I think the product did a great job. It was very simple to use. I just had to add one bottle into the other and shake it. 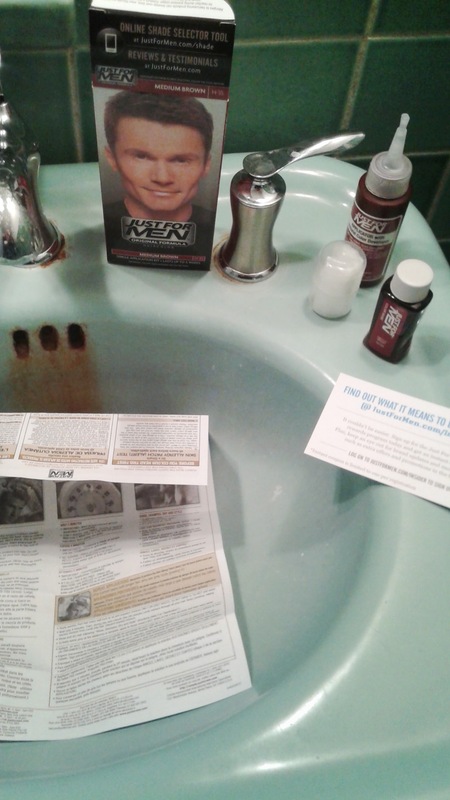 The box came with everything I needed to dye my husbands hair. 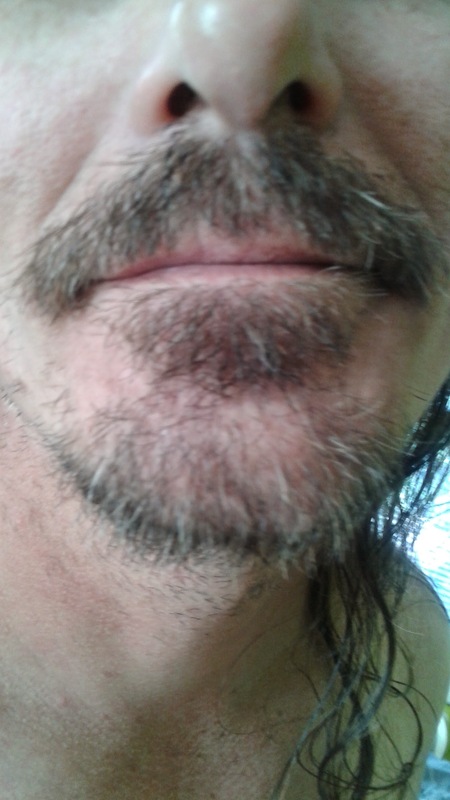 As for comparing to other products, I am unable to compare any dye's for the men as we have not used any other product. 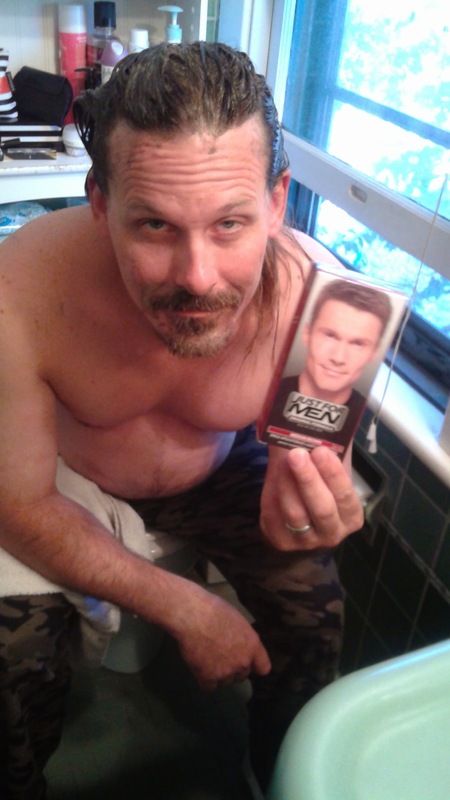 My husband told me that if he were to dye his hair again he would definitely use the Just For Men and recommends it! Disclaimer: I received this product free through Smiley360 in return for my honest and unbiased opinion. Have you ever wanted to get that special someone the perfect gift? Search no more! Sephora has everything from make-up to fragrances to even a gift for the man in your life! 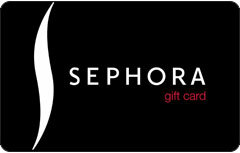 If your special someone is hard to buy for and your not sure what to get, Sephora also offers gift cards! They can redeem online and in store to pick that perfect item just for them! My favorite part of the Sephora brand is not only their great products but they offer a rewards program called Beauty Insider! With this feature you can earn points with every purchase to put towards free items! You also get a free gift for your birthday! They also offer mini makeovers in store so that you can find that perfect look just for you! You can find these locations in JCPenny and stand alone stores. Call ahead to make an appointment in your area! Here is a snippet of some of the products they offer in store and online! This giftable set, that pairs perfectly with the all a glow face palette, includes five must-have brushes all in a chic black fabric pouch; bronzer, powder blush, cream blush, cream highlighter, and concealer. 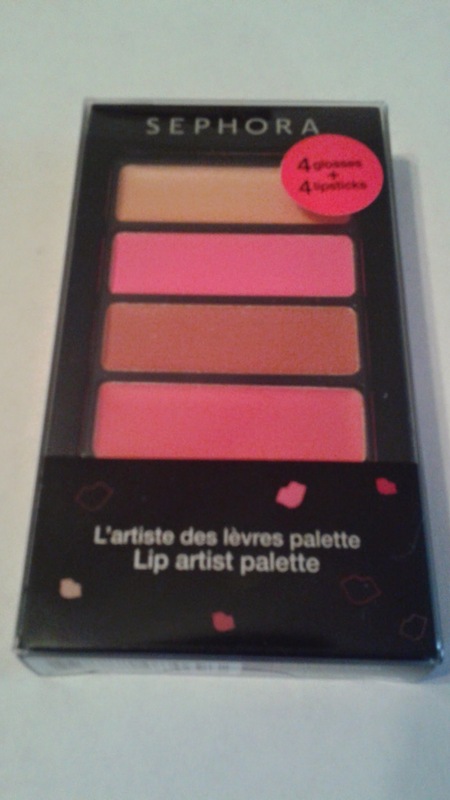 This brush set is a perfect gift for the lady who has everything! Line and define for stunning eyes with 10 full size 12 hour wear waterproof contour eye pencils. Ranging from must-have black to an exclusive new taupe glitter shade, these pencils glide on without tugging and last all day! One for every party you can think of! Mix and match for something different and unique! With four lip glosses, four liquid lipsticks, and two mini lip brushes, this portable lip palette packs endless options in one slim case. Sephora has a wide range of different products that is perfect for you or that special person in your life! They offer gifts sets, perfume, brushes, bath sets and so much more! 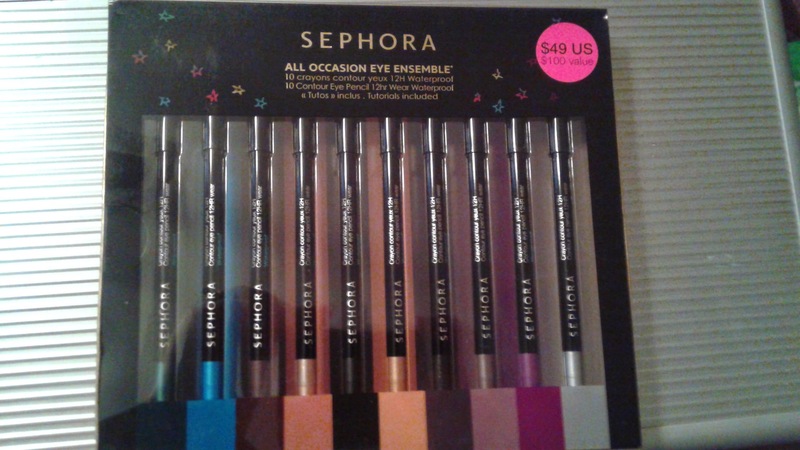 So if your still looking for something great, look no further then Sephora! 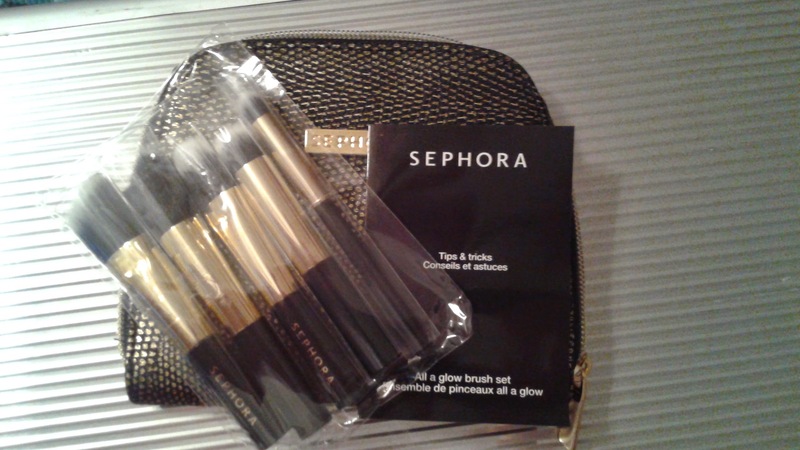 I have always been a huge fan of the Sephora products so it was my pleasure to feature them in one of my posts! I hope that when you try their products for yourself, they will become a favorite in your household as well! Get that perfect look and show yourself off with Sephora!! Stay tuned for a special give away of the products featured in this post!! Disclosure: I received these products for free from Sephora in exchange for my review. I was not compensated in any way for featuring this brand of products. All opinions are my own. Some of the content in this blog was from the Sephora website and I do not take any credit for this content. Sephora is a visionary beauty-retail concept founded in France by Dominique Mandonnaud in 1970. Sephora's unique, open-sell environment features an ever-increasing amount of classic and emerging brands across a broad range of product categories including skincare, color, fragrance, body, smilecare, and haircare, in addition to Sephora's own private label.Today, Sephora is not only the leading chain of perfume and cosmetics stores in France, but also a powerful beauty presence in countries around the world.To build the most knowledgeable and professional team of product consultants in the beauty industry, Sephora developed "Science of Sephora." This program ensures that our team is skilled to identify skin types, have knowledge of skin physiology, the history of makeup, application techniques, the science of creating fragrances, and most importantly, how to interact with Sephora's diverse clientele.Owned by LVMH Moët Hennessy Louis Vuitton, the world's leading luxury goods group, Sephora is highly regarded as a beauty trailblazer, thanks to its unparalleled assortment of prestige products, unbiased service from experts, interactive shopping environment, and innovation. Sephora stores – Sephora operates approximately 1,900 stores in 29 countries worldwide, with an expanding base of over 360 stores across North America. Sephora opened its first U.S. store in New York in 1998, its first Canadian store in Toronto in 2004. Sephora's North American headquarters is located in San Francisco, with corporate offices in New York and Montreal. Beauty Insider - In 2007, Sephora launched a client loyalty program as a way of thanking clients with special products, exclusive information, and an all-access pass to personalized beauty. 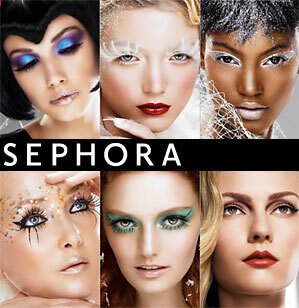 The Beauty Insider program is available in Sephora stores nationwide and at www.sephora.com. In 2009, Sephora launched V.I.B. [Very Important Beauty Insider], a premium level for Beauty Insiders giving clients access to exclusive gifts, event invitations, and early access to select products. Sephora inside JCPenney - JCPenney began opening Sephora inside JCPenney stores in October 2006. That original launch has turned into a phenomenon. Today, there are Sephora locations in JCPenney stores nationwide. These stores are smaller than a normal store with approximately 1,500 square feet but they are located in the center of the store and feature the signature Sephora look and beauty offering. Who of you out there suffer from light bladder leakage (LBL)? I know that this may be a sensitive subject for many of you but I want to let you know that you are NOT alone. As I got older and started having children I noticed that I wasn't able to hold my bladder as well. And yes, I have a little leakage every now and again. It is a very embarrassing issue for me but I know that there are many women and even men out there who suffer just like I do. I'm being open about the issue so that you don't have to feel like you need to hide. Did you know that over 45% of women suffer from light bladder leakage? I didn't either until I did a little more research. There are many causes for light bladder leakage such as stress, caffeine, obesity as well as many other triggers. Many of you know that when you have children your body changes tremendously. 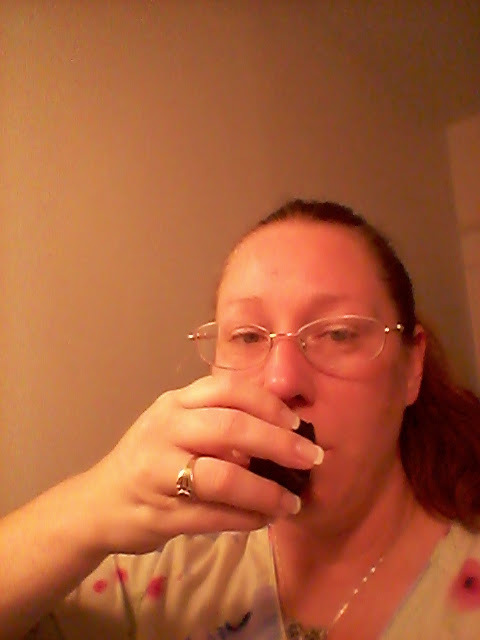 After having three children of my own it's hard to control things down under lol When I laugh to hard, or sneeze or even cough. Even when it's close to "that time of the month" it's hard for me to hold back. So what can you do to help prevent accidents when your out and about? Well let me tell you that Poise has been a life saver for me!!! 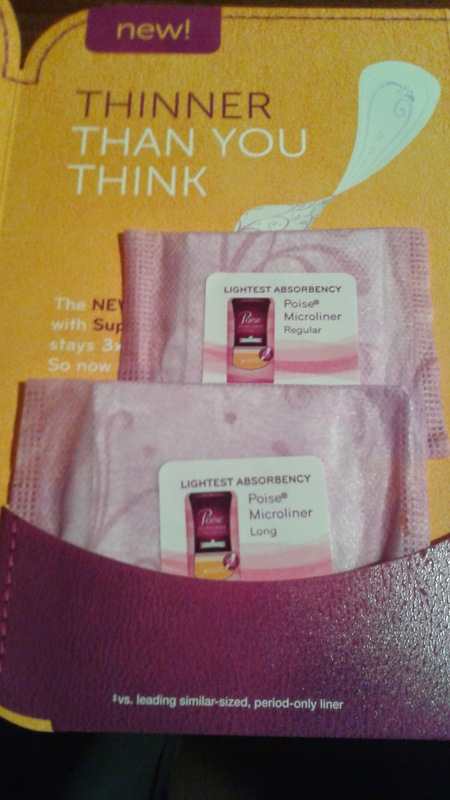 When I received the Poise Micro-liners I truly didn't think they would work. They were so tiny lol How can something like this hold anything that might come out of me? 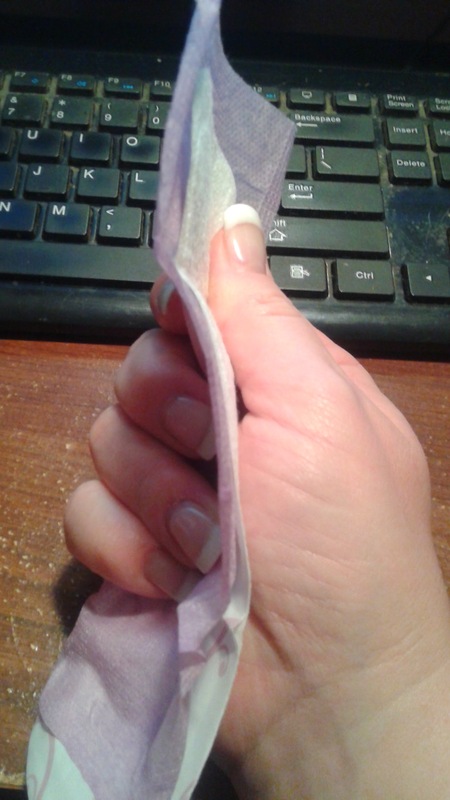 I normally just use sanitary napkins which are thick and bulky and aren't really made to catch anything other then what they are made for. 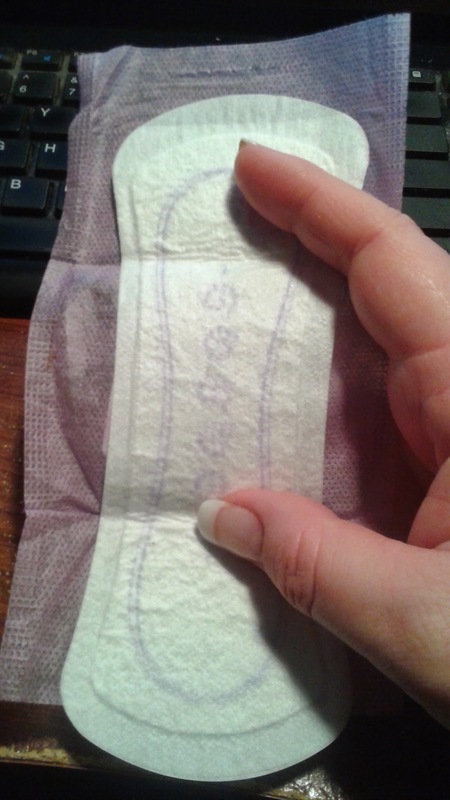 The micro-liner Poise pads are specially designed with a material that catches little leaks! Poise calls it SAM (super absorbent material.) They also eliminate most of the odor. The first time I used these I actually took along an extra pair of pants just in case. But I didn't need them! I was amazed at how well these little babies worked! As embarrassing it is to have light bladder leakage, I no longer feel like I have to worry about accidents anymore! I feel confident every time I leave the house! 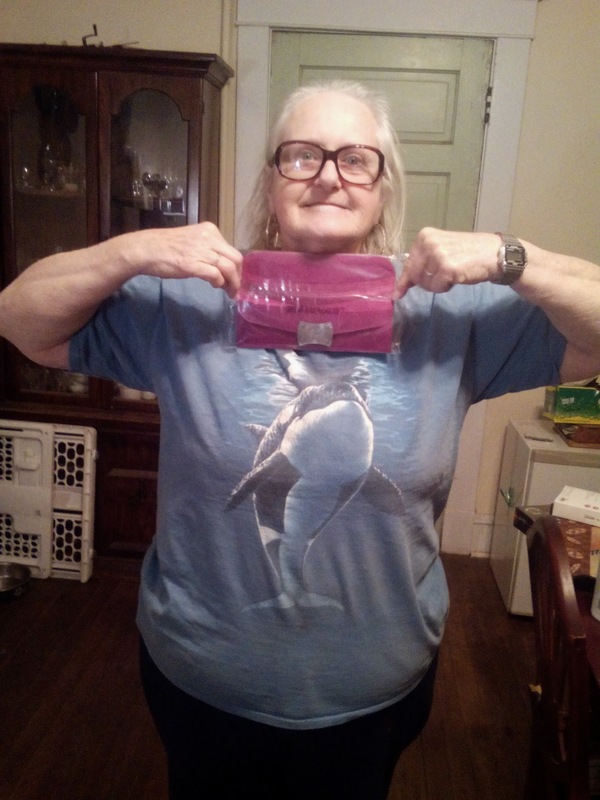 I shared my sample pack with my aunt, who also suffers from leakage. Yes she gave me permission to say that lol She liked them so much she went and purchased some more with the coupon enclosed in her sample!!! I personally really liked the Poise Micro-liners because they are small and can fit discreetly in my purse and they work great! Would i recommend them? Absolutely! If you would like to learn more about the Poise brand, about light bladder leakage and get a sample for yourself you can visit this link here. https://www.poise.com/samples-and-offers/samples They have some great content! Disclaimer: I received the Poise Microliners free through crowdtap in return for my honest and unbiased opinion. 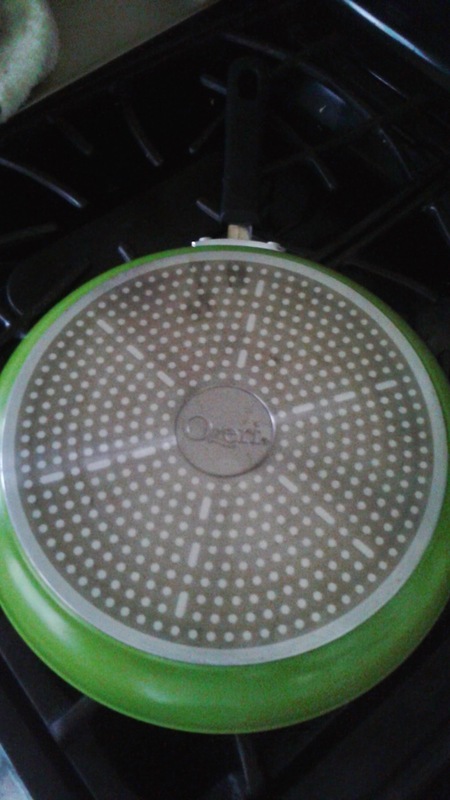 I received This Green Earth Pan From Ozeri free for my review. All opinions are my own! I want to let you know up front that I absolutely love this pan! I have a gas stove and I frequently find that the bottom of my pans always seem to look burnt. I scrub and scrub but I can never get that burnt look off. The Ozeri Green Earth Pan does not have that issue! I have been using it for almost everything when cooking and it still looks like the day I received it! When cooking, the pan evens out the heat so that all my food cooks at the same time and not just in the center, as you would get with other cooking pans. It's super easy to clean after use. It wipes out instead of having to scrub the food off. 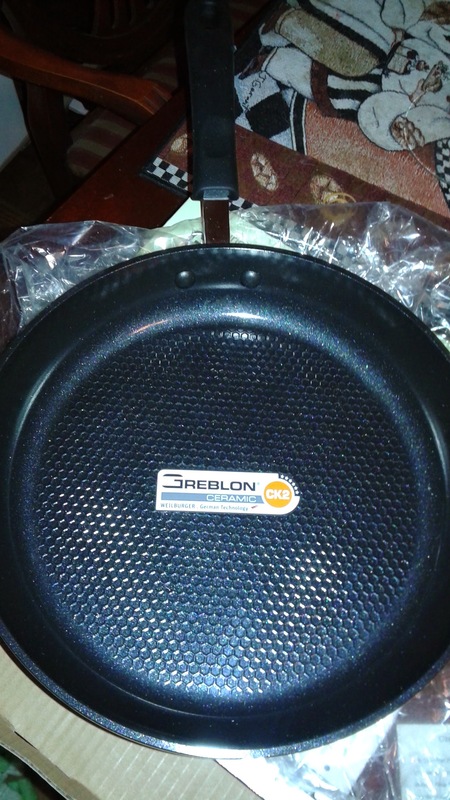 It also came with a protector for the inside of the pan. So storing is a breeze and you don't have to worry about the pan getting damaged after putting it in the cupboard! I love this product and can't wait to purchase more for my home. I will be replacing all my pans with this Brand! I definitely recommend it for your home as well! You will see a difference in the way your food cooks and the time you spend on cleaning! If you would like to learn more or purchase this item you can click here on Amazon and it will take you directly to the link!! Also like them on Facebook! 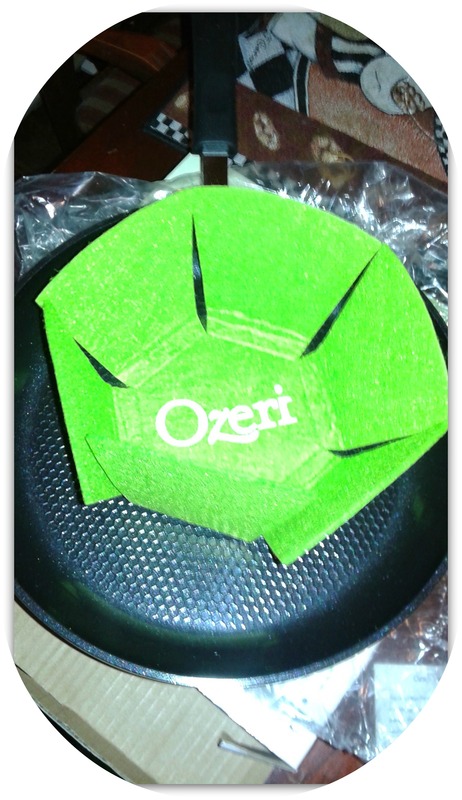 Visit their website Ozeri to see other products they offer! 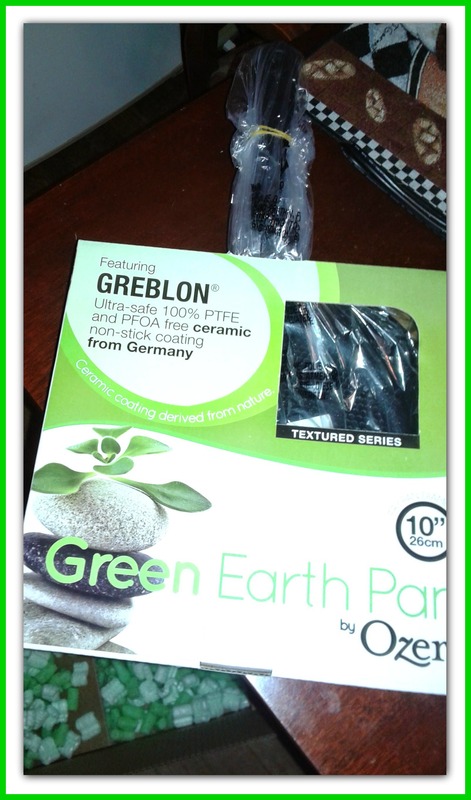 Unlike other ceramic pans , the Ozeri Green Earth Pan utilizes GREBLON - an ultra-safe ceramic coating from Germany which is 100% PTFE and PFOA free. Photo Contest Rules of Participation! 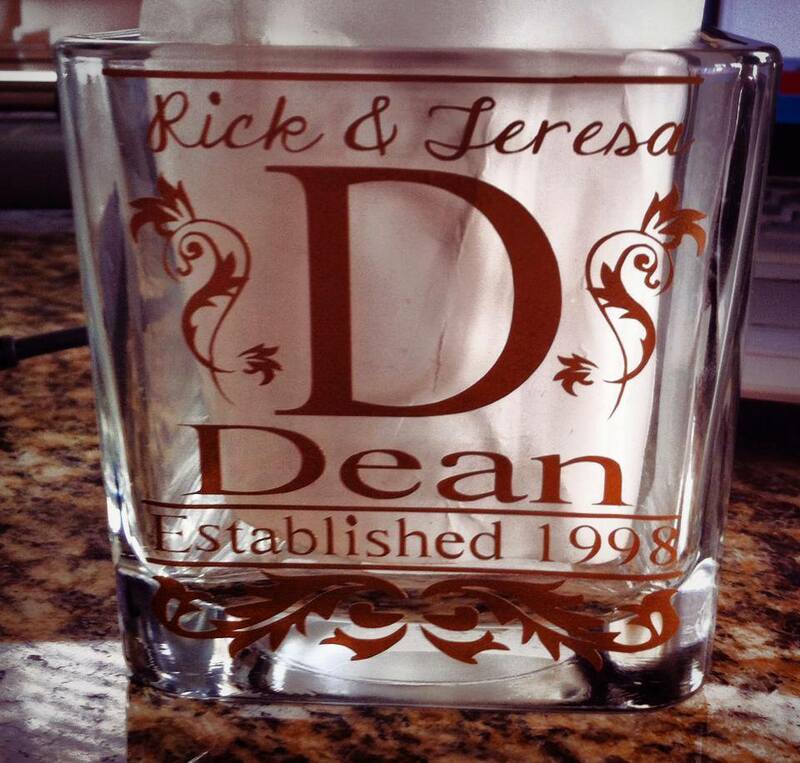 The prize for this contest will be a set of personalized candle holders! 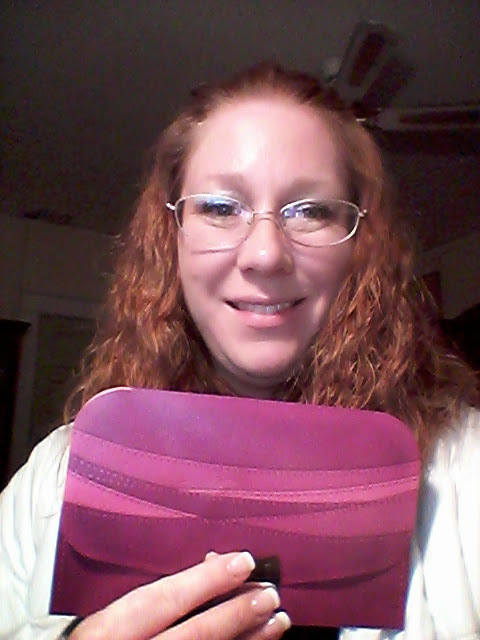 Contest prize has been donated by Jennifer Robertson of Rustic Vision Krafts! You can visit her page at https://www.facebook.com/RusticVision?hc_location=timeline For more of her wonderful products! Please like and share her link!! 1. Photo must be an original of you! You can have friends and family in the photo but you MUST also be in the photo. 2. Only one picture per person can be entered. 3. The picture must contain you being goofy! 6. Your photo CAN contain props such as hats ect. 7. Photo can be shared, but voters must go to the page and like or it doesn't count as a vote. 8. The photo with the most likes will be the winner of the contest. 10. 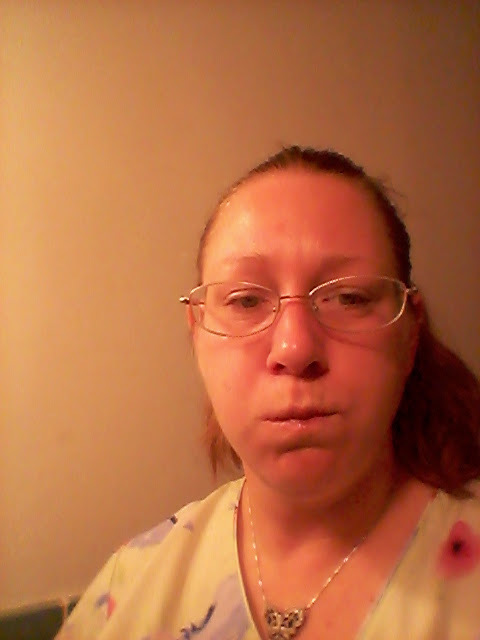 When you submit your photo you give permission for me, Annette Yedlin, to post your picture in a blog, as well as other social media, along with the announcement of the winner. 11. The winner will be announced on January 15th at 6pm EST. Likes for my page would be appreciated!!! 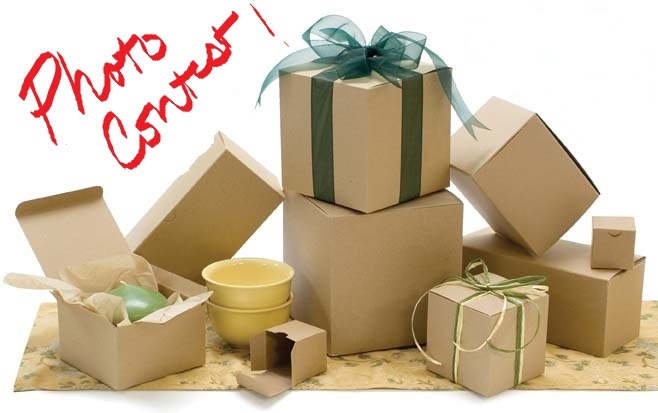 Please allow 6-8 weeks for the prize to be delivered as it is a personalized prize. 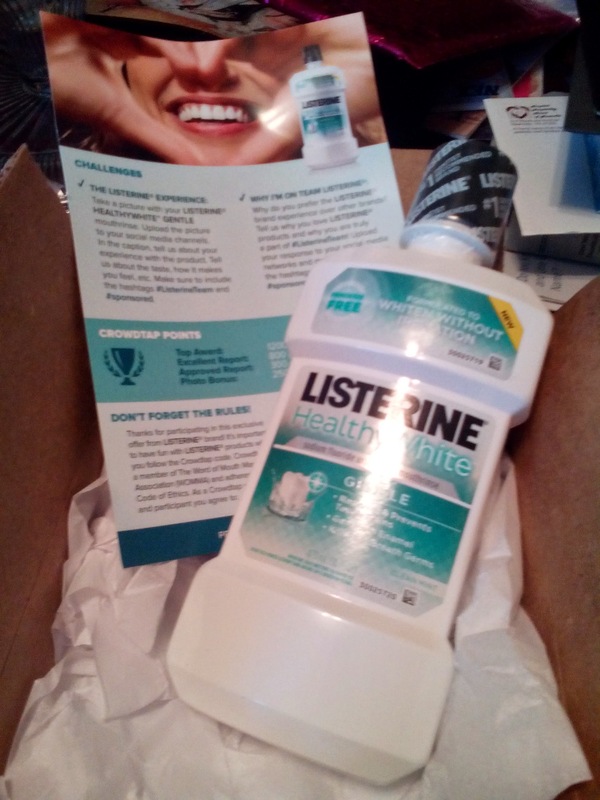 I received a bottle of Listerine Healthy White free through Crowdtap in return for my honest and unbiased opinion. 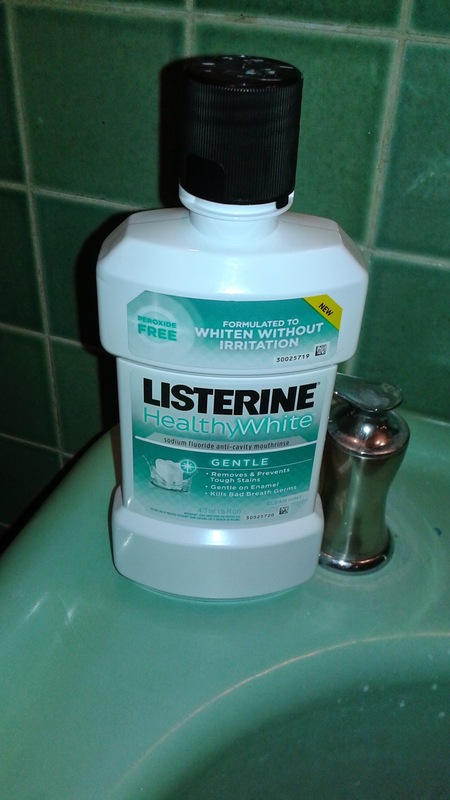 I have always loved the Listerine brand and this product lived up to my expectations of the brand! It has the same great taste as the other Listerine products I have purchased but doesn't have that "burn" effect on my mouth. I love that this is a whitening product because....well...everyone wants a brighter whiter smile with all the protective components like cavity fighting and fresh breath. 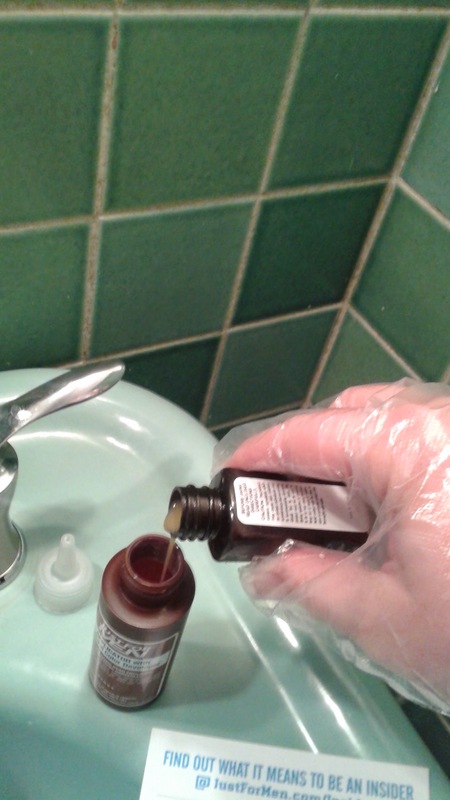 So putting it all into one mouthwash is a great idea! I had never used this particular type of Listerine before but was not surprised that I liked it just as much as my other Listerine. 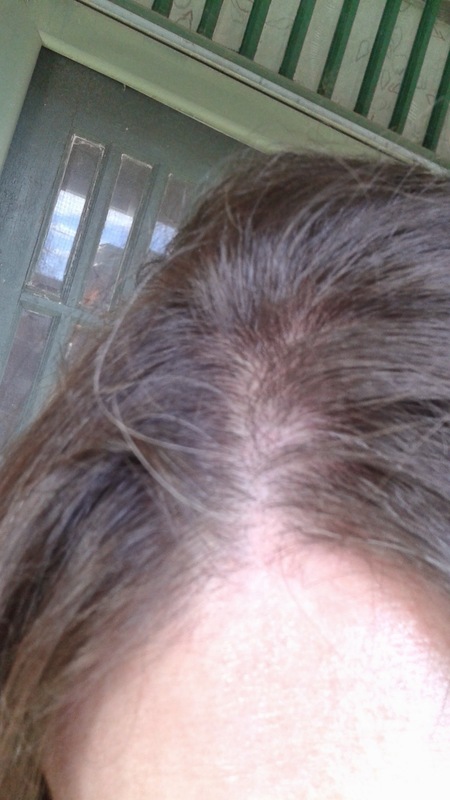 I have only been using it for a few days now and have not seen much of a result....I want to give it some more time! But my mouth feels great! It feels clean and fresh every time I use the Healthy White! To me having a healthy, whiter smile, is important! I want to feel confident in talking to others and know that they are not thinking that I don't take care of my mouth. It makes me feel better about myself and that is the most important thing! The Listerine Healthy White gives me the confidence to know that I am doing everything possible in keeping my smile healthy, fresh and clean! Yes...I also brush and floss! 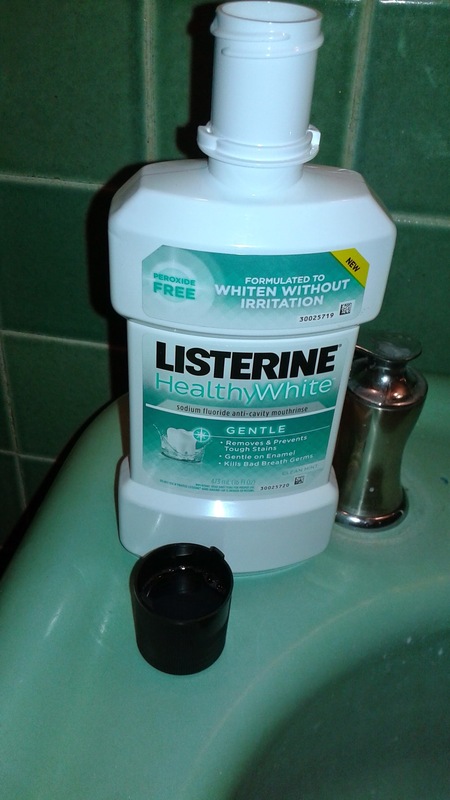 I highly recommend the Listerine Healthy White to others! This brand is all I purchase for mouthwash. 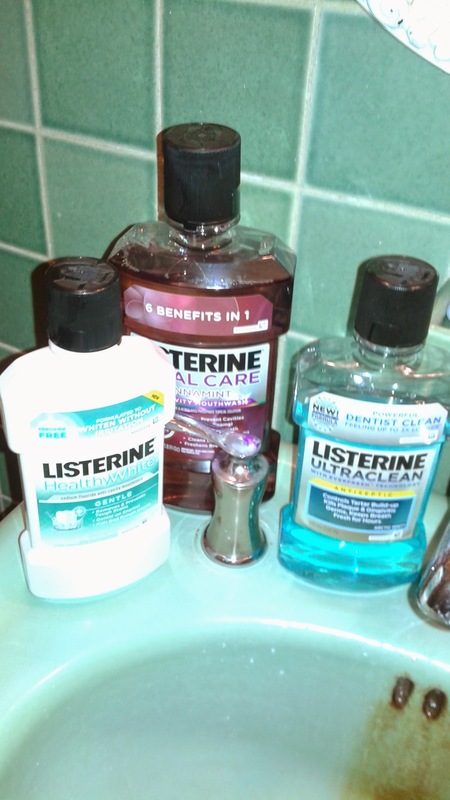 Here is my wonderful collection of the Listerine I use!! 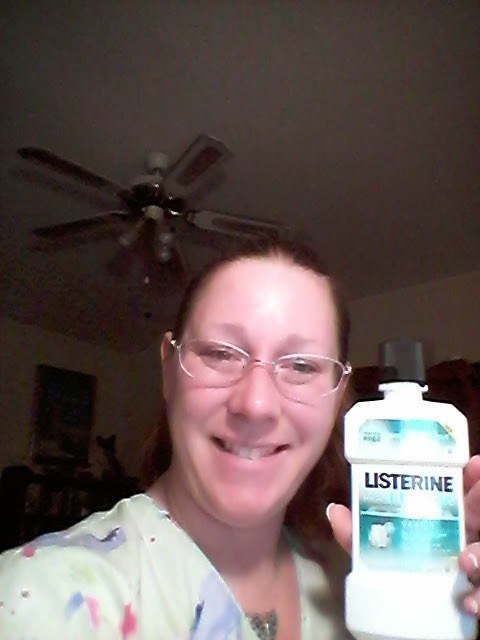 I absolutely love the Listerine products! I can't say it enough! It's a great way to keep your mouth healthy, clean and your breath fresh!